Of all the scams that target the elderly, health care scams are some of the most common. Fraudsters reasonably assume that many seniors are worried about their health and they prey on these insecurities. As reported recently in the news media, many scammers have been marketing fake cancer treatments online. You can protect yourself and others by reporting these and other health-related scams to the appropriate authorities. Although a diet rich in leafy greens is a cornerstone of healthy living, fraudsters have recently begun marketing bogus creams and other treatments as cancer cures. As reported by the Washington Post, regulators at the Food and Drug Administration (FDA) have begun targeting companies that tout asparagus extract and other topical creams as being able to fight cancer. The FDA has sent letters warning these companies to stop falsely advertising. Over the past decade, the FDA has issued similar letters to 90 other companies. The FDA has spotted another trend: scammers have been targeting pet owners with bogus claims that their products help treat cancer in dogs and cats. These claims are just as false as the claims made for treating or preventing cancer in humans. Most ointments, creams, and teas do not “cure” or even “treat” cancer, so you should be on the lookout for these and similar claims. If you want to try something that you see online or in a direct mailing, then you should speak to your doctor first. He or she will know whether the product has any medicinal properties that help with cancer. As advised by the Federal Trade Commission, consumers shouldn’t be fooled by claims that the product offers a money-back guarantee. That is no proof that the product is legitimate. Instead, many companies make a guarantee knowing that most consumers are too lazy or confused to send a worthless product to obtain a refund, so there is little risk to the company to make these guarantees. Remember that it is better to be safe than sorry, so let the federal government investigate. Seniors and their family members have unique legal needs. 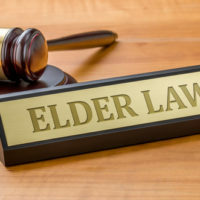 At the Millhorn Elder Law Planning Group in Florida, our attorneys have helped countless seniors prepare for their golden years. If you are worried that a family member has fallen prey to scams, you might want to consider seeking guardianship or take other measures. Contact us today to schedule a free consultation to discuss your options.